OpenVox Communication Co., Ltd, a global leading provider of the best cost effective open source Asterisk® telephony hardware and software products, today announces innovative and affordable UCP (Unified Communication Platform) solutions for enterprises to help them to build up their telecommunication systems with a variety of options in a simple way. 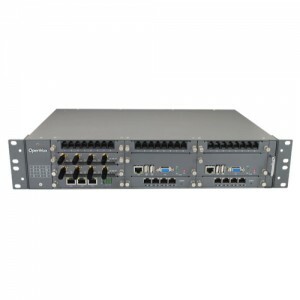 The unique modular design of OpenVox UCP enables the solutions are simple to deploy, highly scalable, feature-rich and for the best value. All the hardware products are fully backed up with a 3-Month “No Questions Asked” Return Policy to ensure satisfaction guarantee for all our customers. The UCP will be ready for worldwide shipping today. Please contact your sales representatives for your partner price or email us at info@voipdistri.com for any enquiries. *1: Interface adapter which is PCI-Express based must be used with processor adapter together. *2: This adapter occupies 2 slots. VoIPDistri.com – Leading Distributor of VoIP Telephony! Due to they long established experiences in the field of Analog-, GSM-, ISDN-networks and Voice over IP VoIPDistri.com able to offer you a comprehensive service for all Voice over IP requirements and network Solutions. This way you can register quickly and easily via the following link to Voice over IP Reseller Partner-Access* and benefit from wide experience in Voice over IP! You will get special reseller conditions for complete OpenVox VoIP Solutions of VoIPDistri.com product Portfolio – click here!